I was sent two gorgeous nail lacquers from Cienna Rose to review. 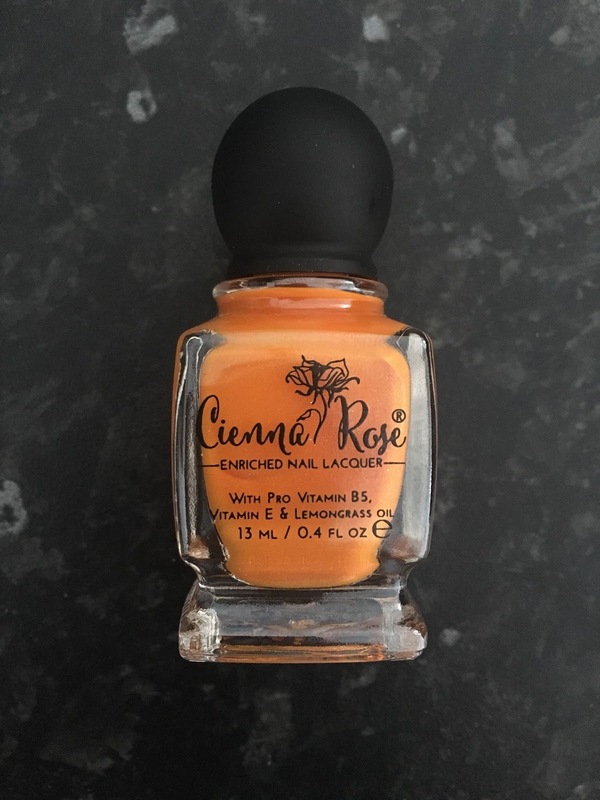 Cienna Rose are a innovative, luxury, UK-based company who are cruelty-free and vegan friendly. 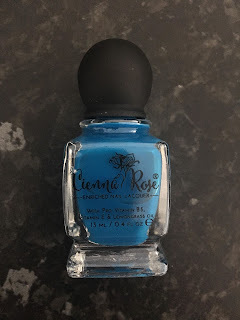 All products are 12 Free (free from harmful and toxic chemicals commonly used in other nail lacquers) which I absolutely love about this brand. As you can see, the bottles are so pretty - such a lovely, unique shape and design. 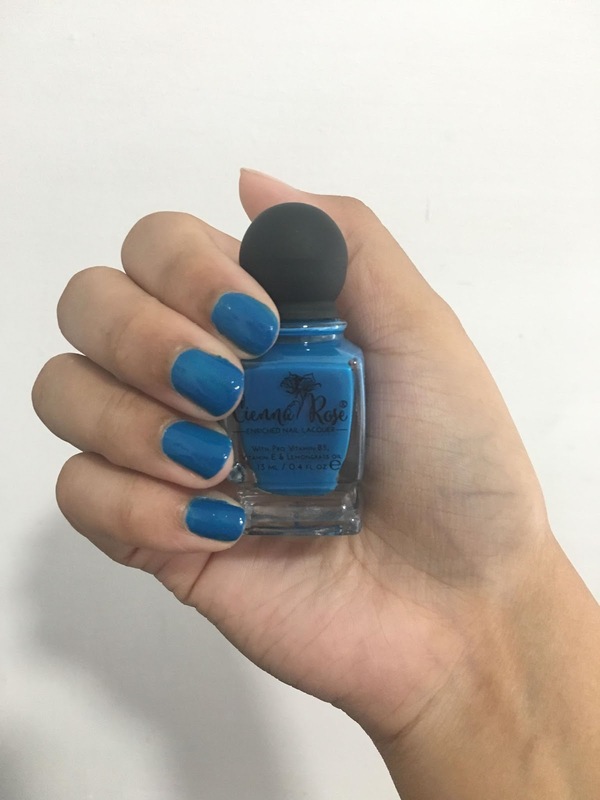 'Miss Behave' is a rich, gorgeous blue colour. Pictured are two coats which applied so easily and dried within minutes. 'Pumpkin Pie' is a vibrant, bright orange colour with specks of gold glitter. Pictured are two coats which, again, was so easy to apply and dried within minutes. The nail lacquers leave a smooth, gel like finish (both in appearance and touch) and are long-lasting and chip-resistant - which is great for me as my nails can chip quite easily. 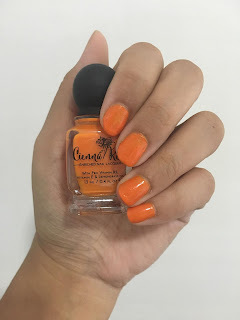 What I love the most about these nail lacquers is that they are enriched with Pro Vitamin B5 (which strengthens nails) and Vitamin E (which promotes nail growth and antioxidant protection). When I removed the nail lacquer, my nails were healthy and felt nourished, rather than dry/stripped which has happened with some other products. 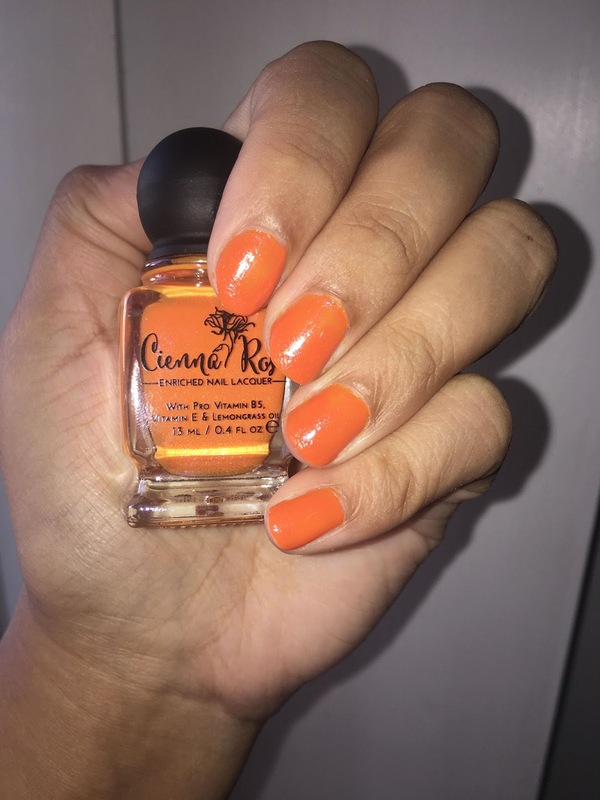 The nail lacquer is also infused with Lemongrass Oil which has a refreshing, light aroma which helps the lacquer to not smell as harsh as other nail products. 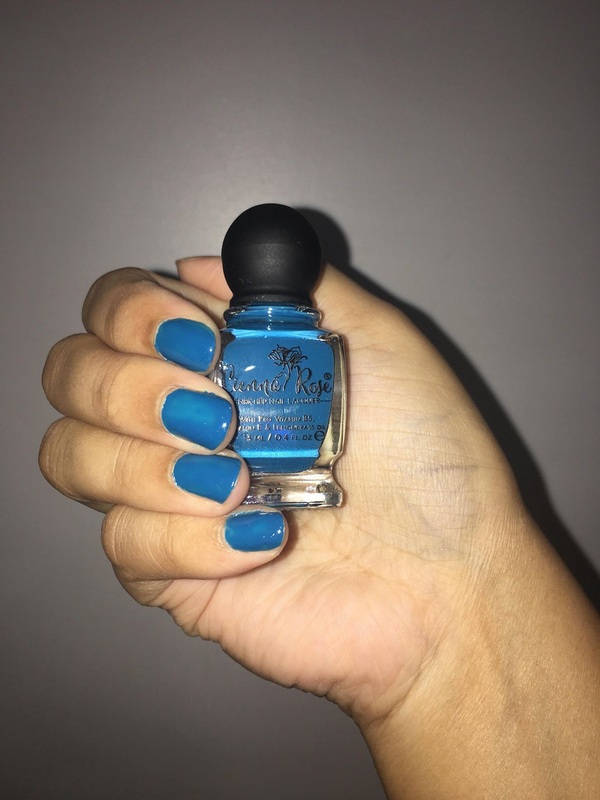 I am really impressed with this product and I'm so excited to try the other colours soon. Prices start at just £9 for 13ml and you can check out the full product range on Cienna Rose's website. I have far too many nail varnished but these are just gorgeous!